Looking to level-up your overnight hiking? 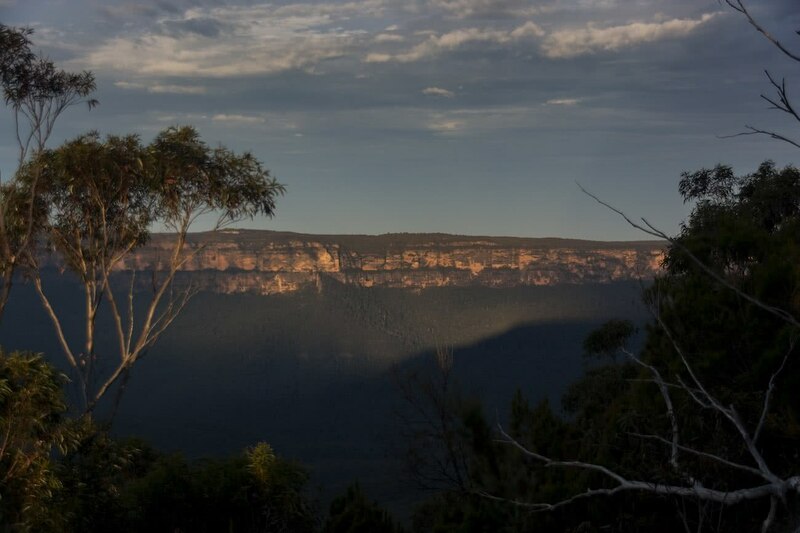 This awesome overnighter climbs Mount Solitary and takes in some of the top highlights of the Blue Mountains, including Ruined Castle and Federal Pass. It’s 100% accessible by public transport too! Camping out in the forest. Amazing views into the Blue Mountains National Park and beyond. 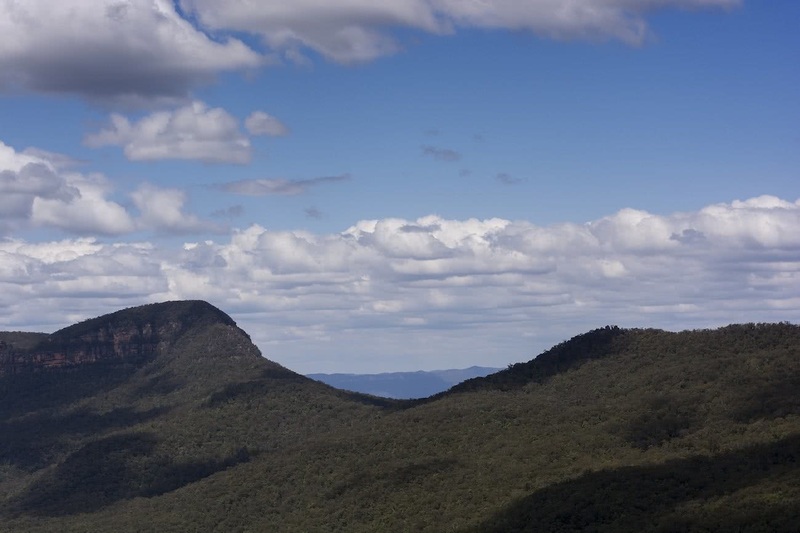 If you’re fit and looking for a mountain to camp on top of, Katoomba to Mount Solitary is a good place to start. It’s easily accessible from Katoomba train station and for the most part is well signposted. 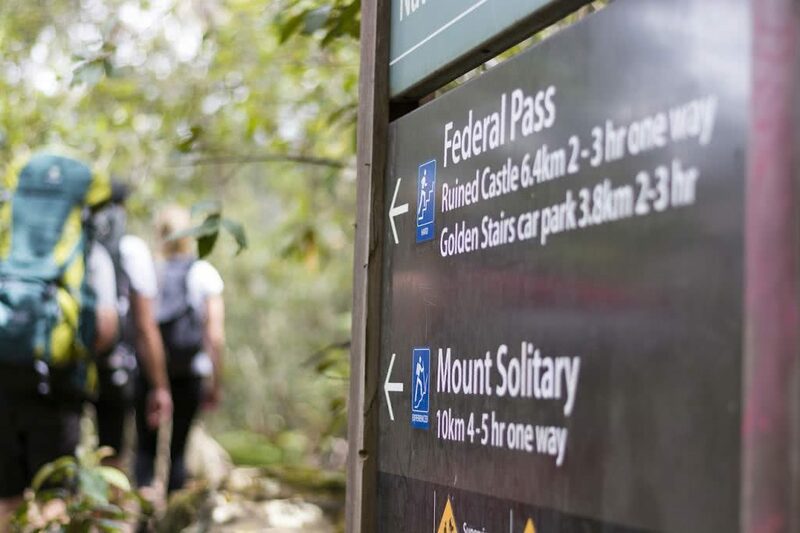 There are two starting points: Golden Stairs, which has a small car park for people driving in; or if you’re coming from the train station, you can get into the forest quicker through Furber Steps, so long as you don’t mind pushing through a few hundred tourists at Scenic World. Both routes lead to the Federal Pass Walking Track and it’s here the crowds start to thin out, leaving you with your own thoughts and the constant throb of cicadas. 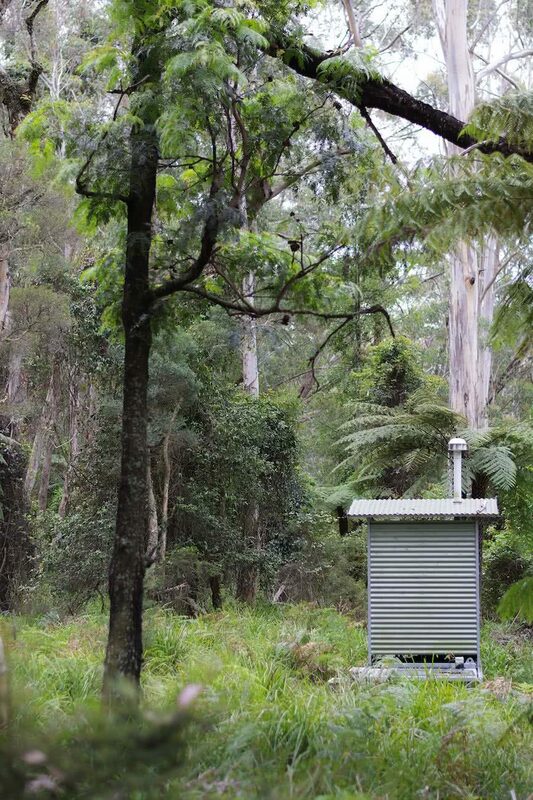 The trail runs around the edge of Pitts Amphitheatre, giving great views of Ruined Castle and your final camp for the night, Mount Solitary. The local indigenous people call the mountain ‘Korowal’ meaning ‘The Strong One’ and it’s easy to see why. The sandstone promontory juts out of the Jamison Valley, topping out at 950m above sea level and spreading 5km across the valley. It’s the only highland in the valley and is easily visible for kilometers around. Before you reach Mount Solitary, you pass Ruined Castle. A jumble of granite rocks standing proud of the surrounding sandstone. Stashing heavy packs at the bottom, it’s possible to climb the stone turrets and take in the 360º panoramic views. It also makes a great spot to stop for lunch before dropping into Cedar Gap and gathering yourself for the final assault. 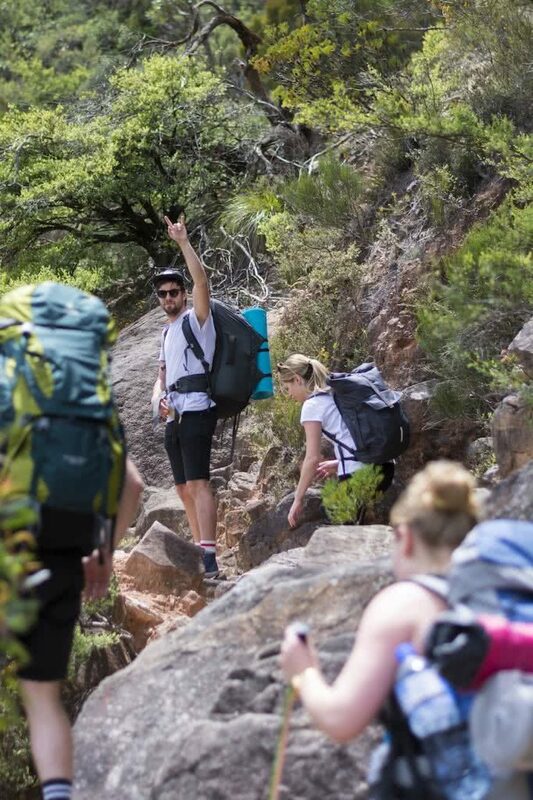 The climb onto Mount Solitary takes some effort. Especially under heavy packs. Several side tracks lead to dead ends and wasted time so try and stick to the middle of the ridge as you head up and be prepared for some ‘bouldering’ on the steeper pitches. Take your time and go steady. Any mishaps here and you’re a long way from help. Once on the top the forest thins out and there’s lots of clearings suitable for pitching a tent. Remember to observe the fire precautions and act responsibly. The last thing you want to do is set the mountain top ablaze! The next day brew a coffee and watch as the morning light pours into the valley. When you’re ready, retrace your steps from the day before. A well deserved meal and beers are waiting in Katoomba. We tackled the route during a particularly dry month meaning we couldn’t rely on any water sources on the route. In periods of heavy rain there are numerous gullies and creeks that can provide flowing water but you will still need to boil before using. There is also a small campground at Ruined Castle that has rain butts, but in a dry month you can’t rely on them. Each person in our group carried 4.5L each to cover the twenty-four hours or so we would be out. Lightweight camping gear – tent, sleeping mat, sleeping bag. Being 1km above sea level the temperatures and weather can be very different to the surrounding areas, so go prepared for colder weather. Water. We walked during a dry spell and couldn’t rely on any water sources so we carried 4.5L each to be safe. PLB. Personal Locator Beacons are available for hire from Katoomba Police Station and are recommended for overnight walks in the Blue Mountains National Park. Map and compass (If you want to get comfy with navigation before trying an overnight hike, try one of our Wilderness Escapes). If coming by train, Katoomba is the closest station. From there it’s a 4-5km walk through town to the start of the Furber Steps. If coming by car, it’s possible to park at Narrowneck car park and head down the Golden Stairs, joining the Federal Pass Walking Track a few kilometers in. See here for a Google map of the route. Be sure to take a version you can access offline! Intermediate to advanced. The trail is well marked to Ruined Castle but becomes patchy the other side. Some of the ascents are short technical climbs, made harder by full packs. In bad weather this would be a very tough route. From Katoomba Station via Furber Steps the route is around 15km each way. It’s a total of 30km with around 1,000m climbing over the two days. Including staring at the views and stops for food we finished each day in around six hours.